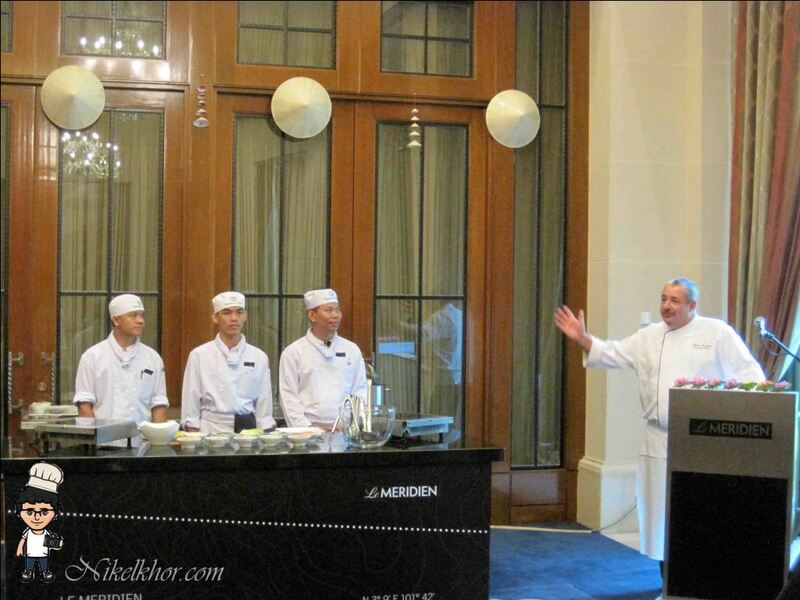 This May, Le Meridien Kuala Lumpur brings Vietnamese cuisine to you with guest chefs from Saigon. 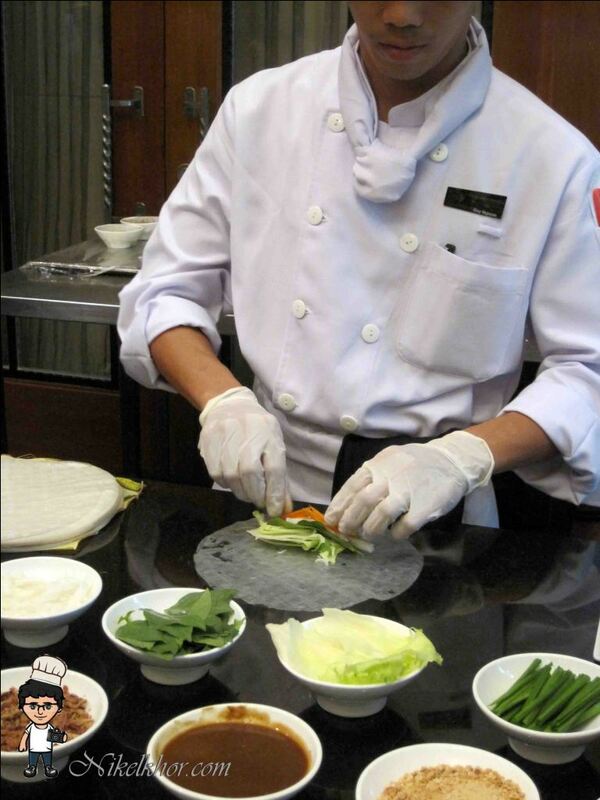 Led by Chef Tran Cong Tien, Chef Nguyen Thi Duy and Chef Biu Van Tien Dung from Sheraton Saigon will be displaying their speciaties exclusively at Latest Recipe. 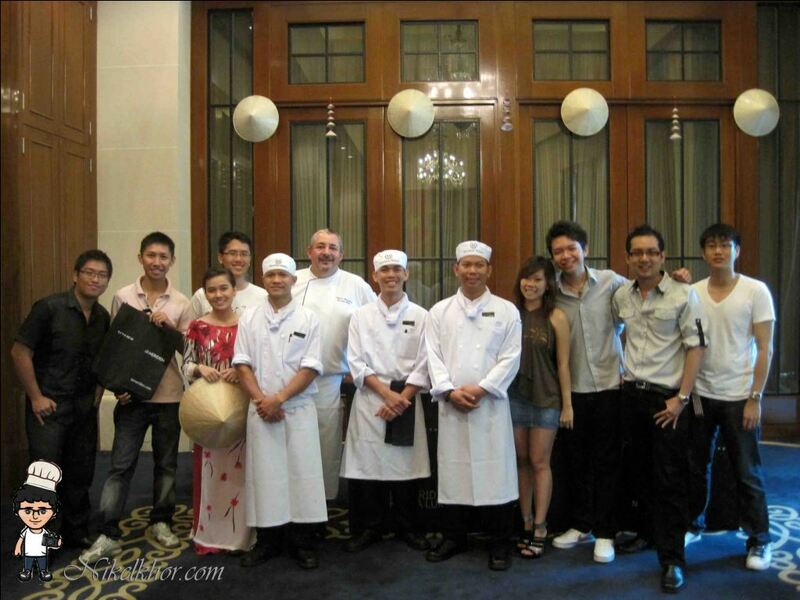 These talented chefs will be cooking up a storm for dinner at their assigned live cooking counters from 16-22 May 2011. The well crafted menu features popular Vietnamese dishes and dessert including Seafood Spring Roll, Beef Noodles Soup, Seafood Hot and Sour Noodle Soup, Prawn Mousse on Sugar Cane, Caramelised Fish, Wok-Fried Clam with Peppercorn, Pandan Cake, Rice Dumpling with Green Bean Filling in Ginger Syrup and so much more. Experience Vietnam and still have a choice of the familiar and well known Latest Recipe International cuisine including Chinese, Western, Indian, Malay and Japanese dishes. Make a date with family and friends to enjoy this limited time colourful variety with prices remaining the same as the usual buffet; RM118++ per adult and RM59++ per child. Today, I was invited for a Vietnamese Cooking Demonstration and Food Tasting at here. 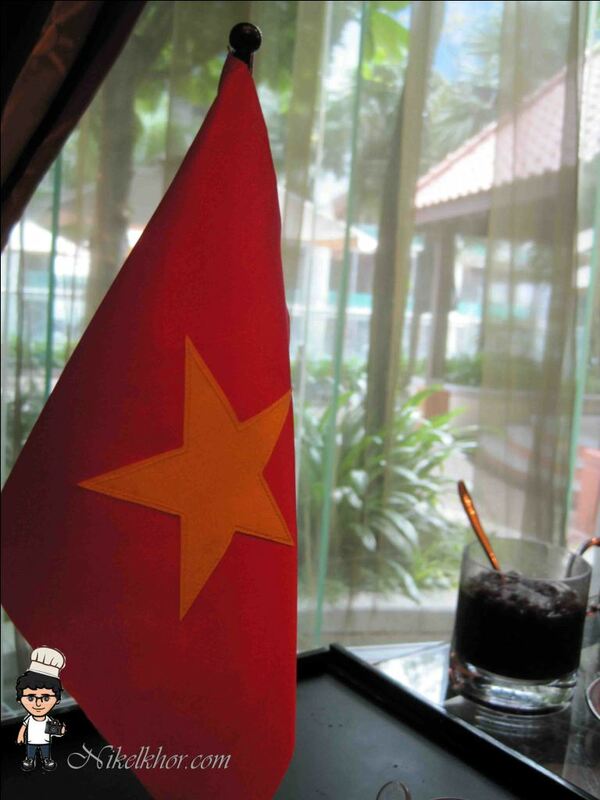 Let me begin with intro of drink Vietnamese Coffee. I do like this coffee. It taste like taiwanese bubble tea which add on some pearl in the drinks. Its very good. 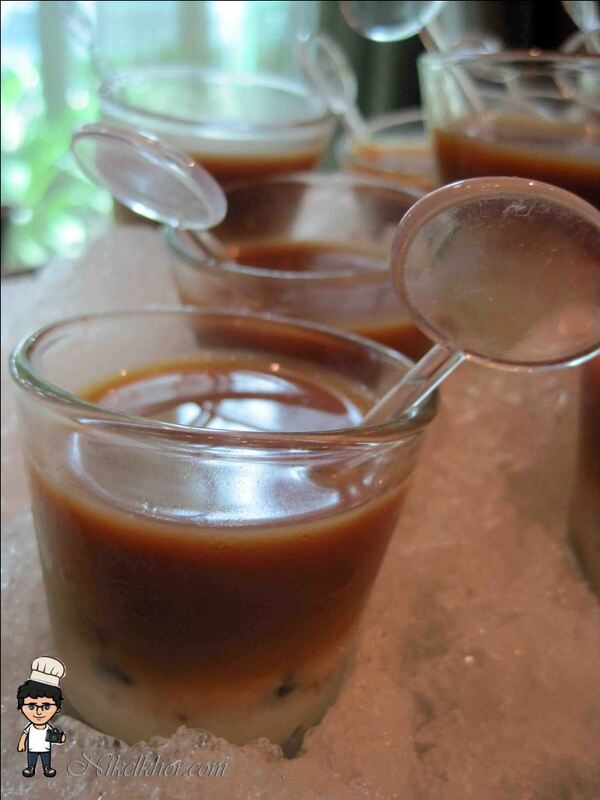 Also known as Ca phe da or cafe da (Vietnamese: cà phê đá, literally "coffee ice") is a traditional Vietnamese coffee recipe. "Vietnamese iced coffee with milk", also known as ca phe sua da or cà phê sữa đá It is also called ca phe nau da (Vietnamese: cà phê nâu đá, "iced brown coffee") in northern Vietnam. 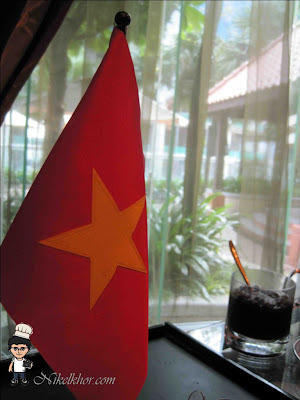 At its simplest, Ca phe da is made with finely ground Vietnamese-grown dark roast coffee individually brewed with a small metal French drip filter (cà phê phin) into a cup containing about a quarter to a half as much sweetened condensed milk, stirred and poured over ice. 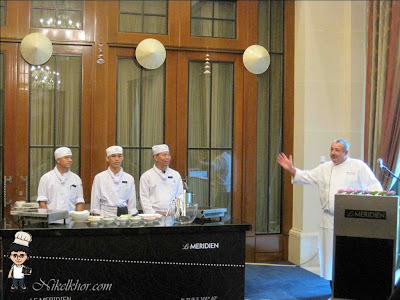 Le Meridien’s Executive Chef, Chef Antoine Rodriguez introducing Chef Tran Cong Tien, Chef Nguyen Thi Duy and Chef Bui Van Tien Dong. 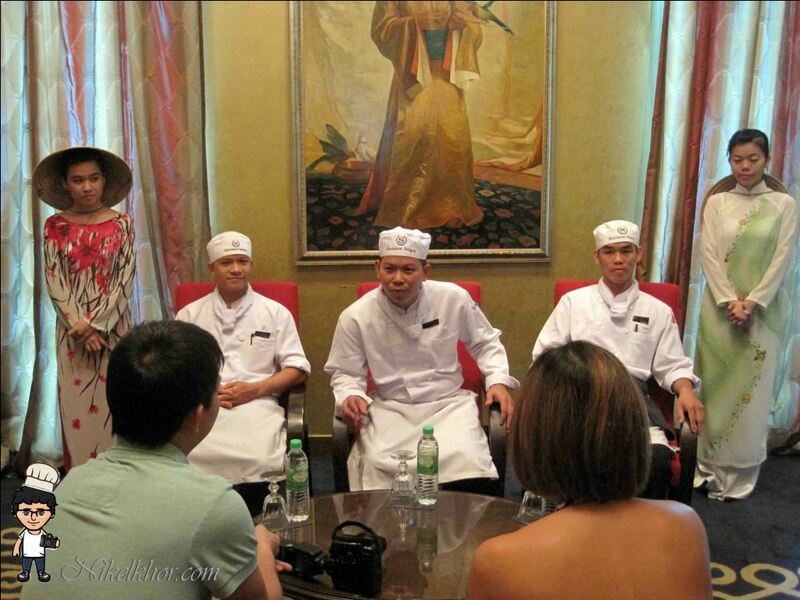 Last but not least, Group photo with guest chef. Is this make you craving for it? This sauce is so special. 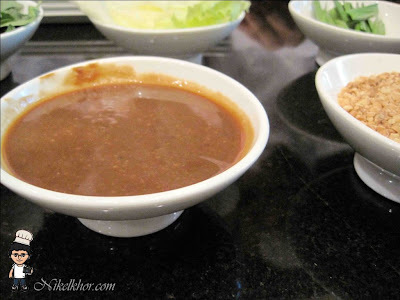 Is taste like Chee Cheong Fan sauce, but definitely not. 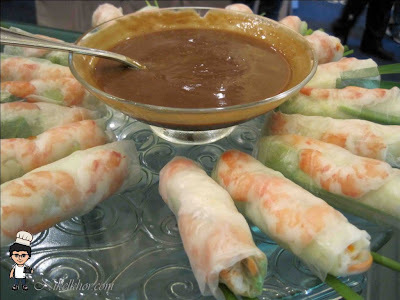 Below is the recipe of spring roll and how the preparation on it. Moisten rice paper with water in spray bottle. Place butter lettuce, mix Vietnamese herbs (Vietnamese mint, Holy basil), carrot and fresh rice vermicelli on rice paper (place small bowl of water next to work station and moisten hand with water to make handling of the noodle easier). 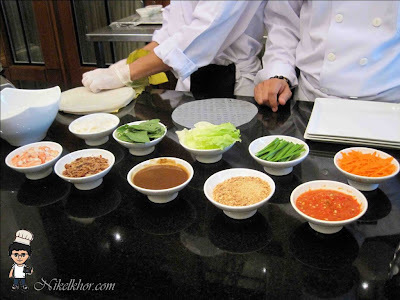 Begin to firmly toll ingredients in rice paper. Fold in both edges to seal filling from edge of spring roll. 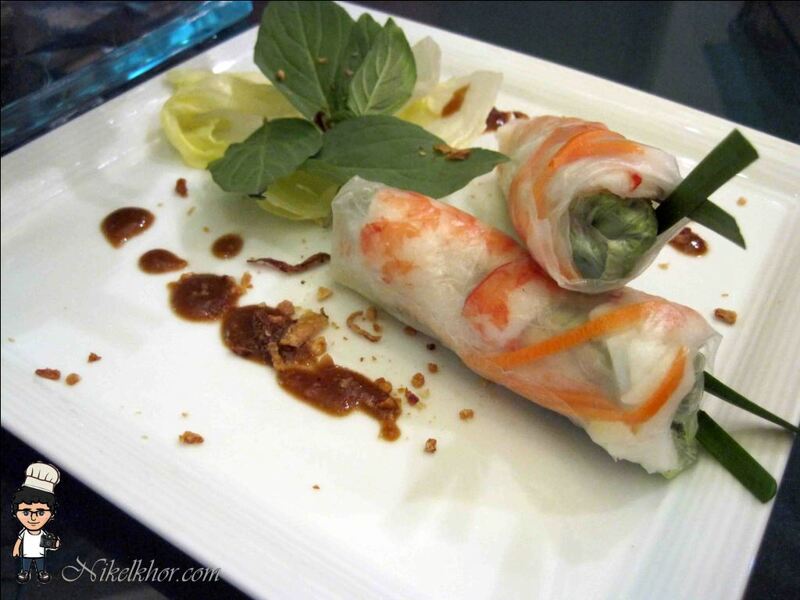 Continue to roll ingredient in rice paper to form spring roll. Arrange prawns nicely on the last part of rice paper with the cooked red side facing outwards. Finish rolling up spring roll. 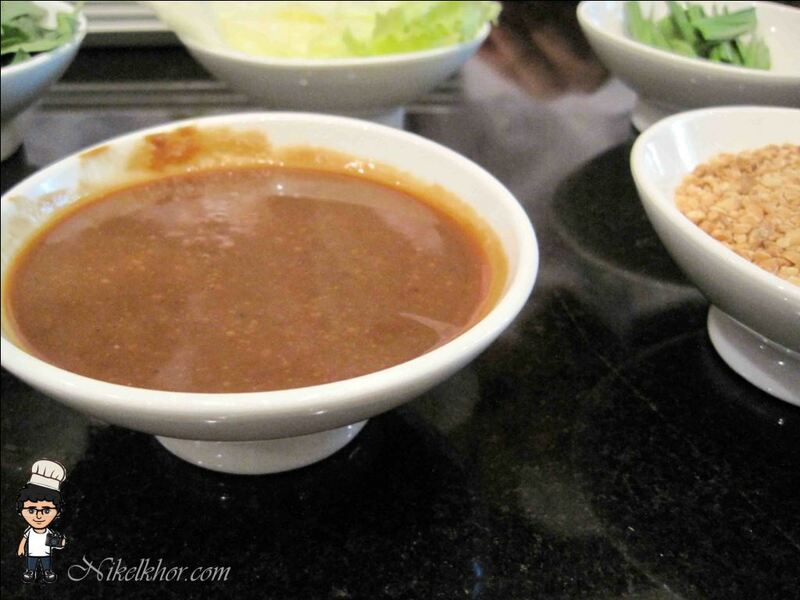 Eat fresh served with soya bean sauce with chopped peanut, chilli and fried shallot. Stir in the tamarind in 50ml hot water then strain through a fine sieve. Steam the mung beans with 60ml water about 20 minutes then blend together with the water to become a smooth paste. Blend the soya bean to a smooth paste.Heat the oil in sauce pan, sautee garlic until golden brown. Pour all ingredients into a pan and simmer for about 10 minutes till thicken then remove pan from fire. Leave to cool before keeping in fridge. This sauce can be kept up to a week. Continue on the next post.